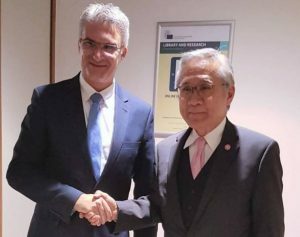 On 21 January 2019, at the sideline of the 22nd ASEAN-EU Ministerial Meeting, H.E. 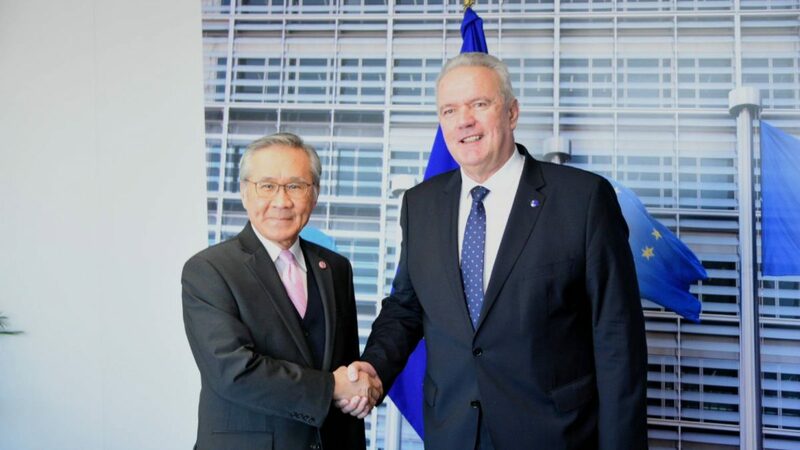 Mr. Don Pramudwinai, Minister of Foreign Affairs of Thailand, had bilateral meetings to discuss topics of mutual interests and explore future cooperation with his European counterparts, namely H.E. 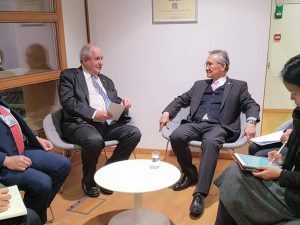 Mr. Neven Mimica, European Commissioner for International Cooperation and Development, H.E. Mr. Péter Szijjártó, Minister of Foreign Affairs and Trade of Hungary, H.E. Mrs. Ekaterina Zaharieva, Deputy Prime Minister for Judicial Reform and Minister of Foreign Affairs of Bulgaria, H.E. Mr. Jacek Czaputowicz, Minister of Foreign Affairs of Poland, H.E. Mr. Carmelo Abela, Minister for Foreign Affairs and Trade Promotion of Malta and H.E. Mr. Mr. Terens Nikolaos Quick, Deputy Minister of Foreign Affairs of Greece.